Fewa Wildlife Resort is situated on the bank of Rapti River at the western part of the Park tranquil. 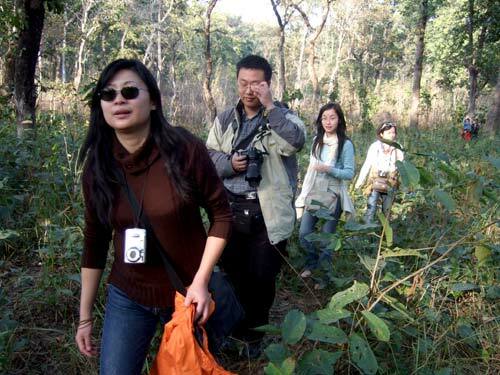 160 Km south west of the capital (Kathmandu) lays Chitwan National Park. They are best for Wildlife Tours in Nepal. The resort is situated on the bank of Rapti River at the western part of the Park tranquil for the crowd. Before The reed Bar where one can quench their thirst at intervals or simply enjoy our jungle cocktails specials. Around an open needfire, our guests may enjoy a BBQ party together in the evening, which can make you still cheer up after plenty of activities in daytime. -The river banks & the wooded area bring you close to nature &its flora & fauna. -Be like a jungle explorer and plan jungle walk from 1 day up-to 7 days. -To rap the evening the local ethnic tribe performs their ritual dances. -The first breeding center in Asia. 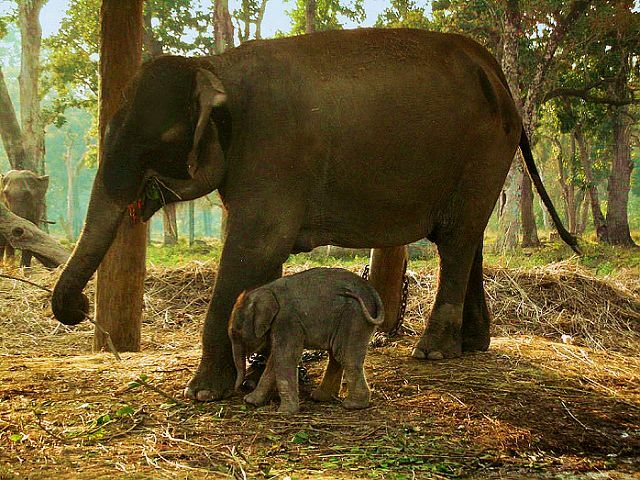 you will see the baby elephants socializing with their parent.